James Monroe (1758-1831), the fifth U.S. president, oversaw major westward expansion of the U.S. and strengthened American foreign policy in 1823 with the Monroe Doctrine, a warning to European countries against further colonization and intervention in the Western Hemisphere. Monroe, a Virginia native, fought with the Continental Army in the American Revolutionary War (1775-83) then embarked on a long political career. A protégé of Thomas Jefferson (1743-1826), Monroe was a delegate to the Continental Congress and served as a U.S. senator, governor of Virginia and minister to France and Great Britain. 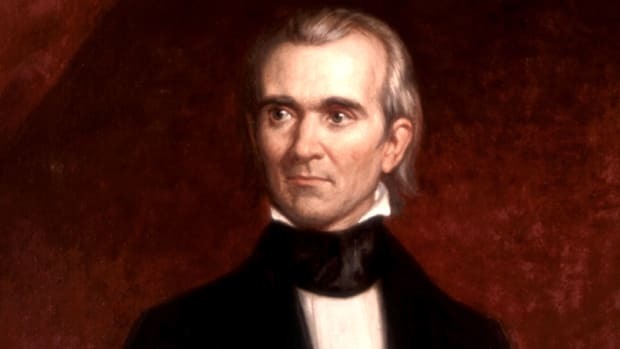 In 1803, he helped negotiate the Louisiana Purchase, which doubled the size of the U.S. As president, he acquired Florida, and also dealt with the contentious issue of slavery in new states joining the Union with the 1820 Missouri Compromise. 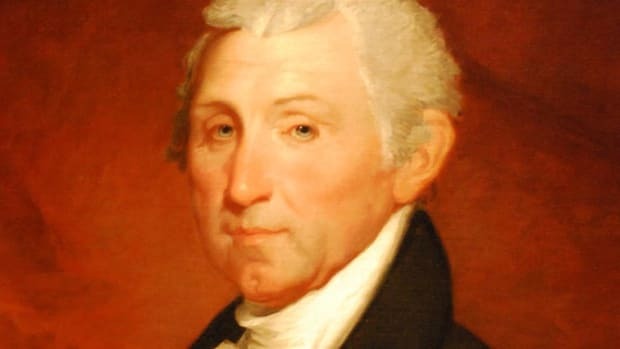 James Monroe was born on April 28, 1758, in Westmoreland County, Virginia, to Spence Monroe (1727-74), a farmer and carpenter, and Elizabeth Jones Monroe (1730-74). In 1774, at age 16, Monroe entered the College of William and Mary in Williamsburg, Virginia. He cut his college studies short in 1776 to join the Continental Army and fight for independence from Great Britain in the American Revolutionary War (1775-83). Did you know? 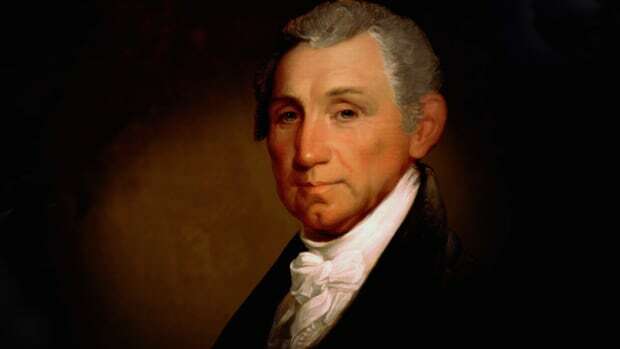 Monrovia, the capital of the West African country Liberia, is named after James Monroe. As president, Monroe supported the work of the American Colonization Society to create a home for freed African slaves in Liberia. Following his military service, Monroe embarked on a career in politics. In 1782, he became a delegate in the Virginia Assembly and the following year was chosen as a Virginia representative to the Congress of the Confederation, America’s governing body from 1781 to 1789. 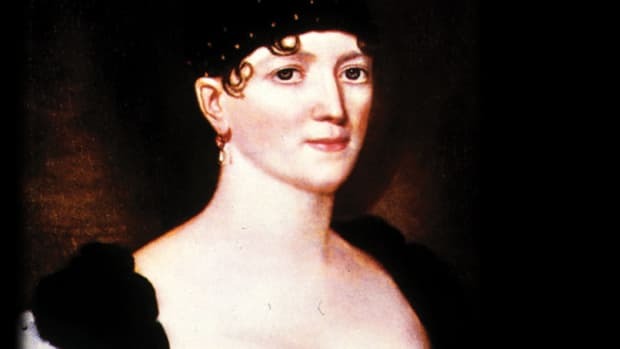 In 1786, Monroe married Elizabeth Kortright (1768-1830), the teenage daughter of a New York merchant. The couple had two daughters and a son who died as an infant. 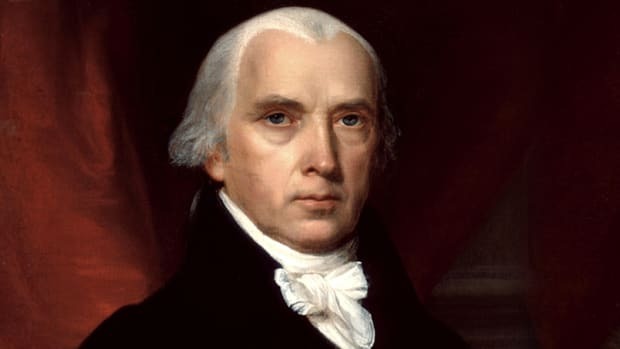 While in Congress, Monroe supported the efforts of fellow Virginia politician (and the future fourth U.S. president) James Madison (1751-1836) to create a new U.S. constitution. However, once written, Monroe felt the document gave too much power to the government and did not sufficiently protect individual rights. 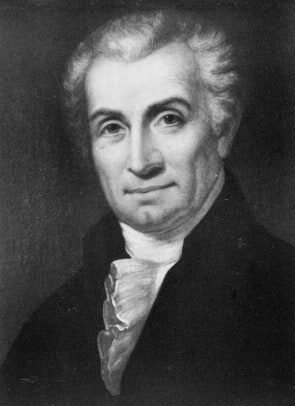 Despite Monroe’s opposition, the Constitution was ratified in 1789, and in 1790 he took a seat in the U.S. Senate, representing Virginia. 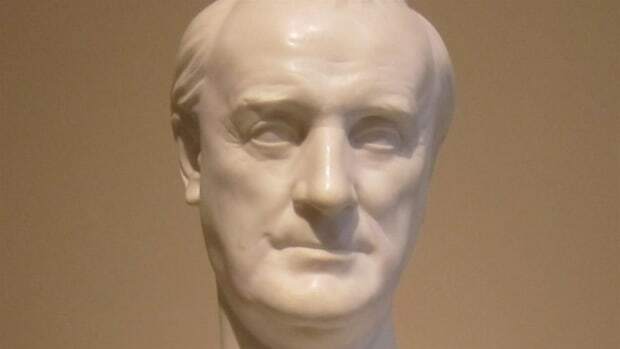 As a senator, Monroe sided with Madison, then a U.S. congressman, and Jefferson, then the U.S. secretary of state, both of whom were against greater federal control at the cost of state and individual rights. 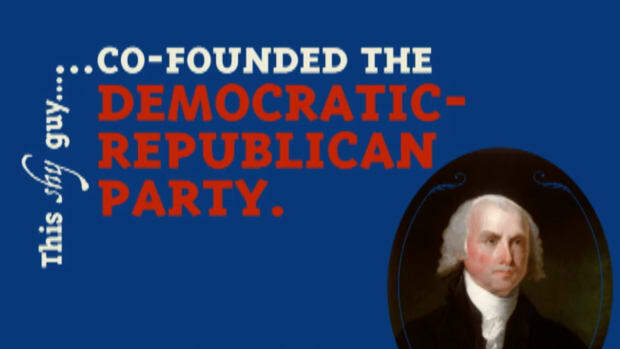 In 1792, Monroe joined forces with the two men to found the Democratic-Republican Party, which opposed Alexander Hamilton (1755-1804) and the Federalists who were fighting for increased federal power. In 1794, President George Washington (1732-99) appointed Monroe as minister to France, in an effort to help improve relations with that nation. At the time, France and Great Britain were at war. Monroe had some initial success in strengthening Franco-American ties; however, relations soured with the November 1794 signing of the controversial Jay’s Treaty, an agreement between the U.S. and Britain that regulated commerce and navigation. Monroe, who was critical of the treaty, was released from his post by Washington in 1796. Monroe resumed his political career in 1799, when he became governor of Virginia. 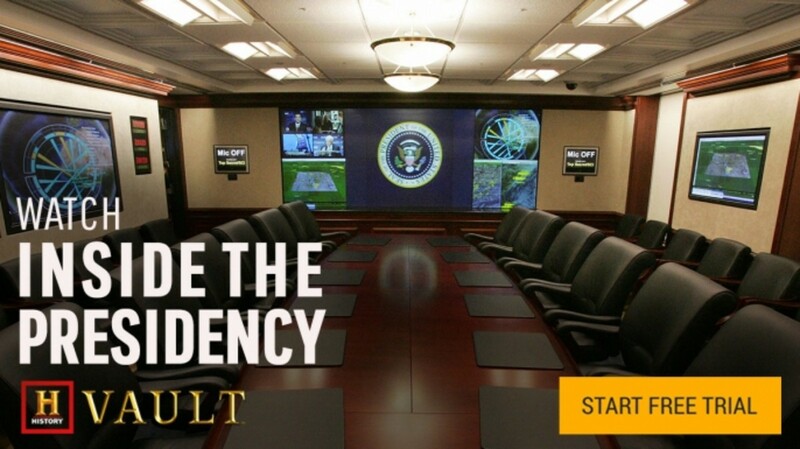 He held this office for three years until President Thomas Jefferson requested that Monroe return to France to help negotiate the purchase of the port of New Orleans. In France, Monroe learned that French leader Napoleon Bonaparte (1769-1821) wanted to sell the entire Louisiana Territory (the land extending between the Mississippi River and Rocky Mountains and the Gulf of Mexico to present-day Canada), not only New Orleans, for $15 million. Monroe and the U.S. minister to France, Robert R. Livingston, did not have time to gain presidential approval for such a large purchase. Instead, they approved and signed the Louisiana Purchase agreement themselves in 1803 and effectively doubled the size of the United States. Monroe, who garnered acclaim for the Louisiana Purchase, then became the minister to Great Britain and drafted a treaty that would help strengthen the bonds between Britain and the U.S. Jefferson, however, did not approve the treaty because it did not stem Britain’s practice of capturing American sailors for its own navy. Monroe was upset by Jefferson’s actions and his friendship with both Jefferson and his secretary of state, Madison, soured. In 1808, still angry about how his treaty was handled by Jefferson and Madison, Monroe ran for president against Madison. He lost. However, the ill feelings between the two men did not last. In 1811, Madison asked Monroe, who was once again governor of Virginia, to be his secretary of state. Monroe agreed, and proved to be a strong asset to Madison as America battled Britain in the War of 1812. During his tenure as secretary of state, which lasted until March 1817, Monroe also served as secretary of war from 1814 to 1815. The previous holder of that post, John Armstrong, was forced to resign following the burning of Washington, D.C., by the British in August 1814. In 1816, Monroe ran for president again, as a Democratic-Republican, and this time handily defeated Federalist candidate Rufus King (1755-1827). When he was sworn into office on March 4, 1817, Monroe became the first U.S. president to have his ceremony outdoors and give his inaugural address to the public. The new president and his family could not take up immediate residence in the White House, because it had been destroyed by the British in 1814. Instead, they lived in a home on I Street in Washington, until the rebuilt White House was ready for occupancy in 1818. Monroe’s presidency ushered in what was known as the “Era of Good Feelings.” The U.S. had a new sense of confidence from its various victories during the War of 1812 and was growing quickly and offering new opportunities to its citizens. 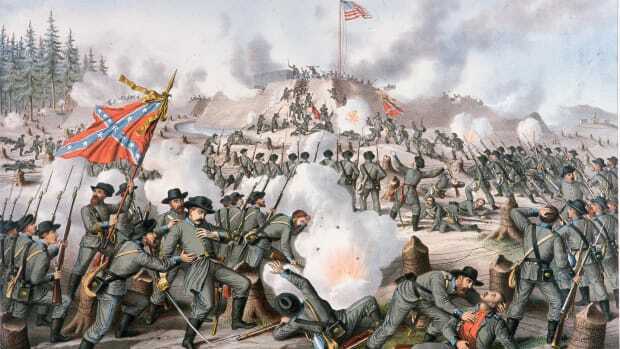 Additionally, fighting between the Democratic-Republicans and Federalists was finally beginning to ebb. One issue Monroe had to contend with during his first term in office was deteriorating relations with Spain. Conflicts arose between the U.S. military in Georgia and pirates and Native Americans in the Spanish-held territory of Florida. In 1819, Monroe was able to successfully address the problem by negotiating for the purchase of Florida for $5 million, further expanding U.S. territories. With all the expansion came significant money troubles. Speculators were borrowing large sums of money to purchase land to sell to settlers and banks were leveraging assets they did not have in order to loan the money. This, along with diminished trade between the U.S. and Europe, led to a four-year economic downturn, known as the Panic of 1819. 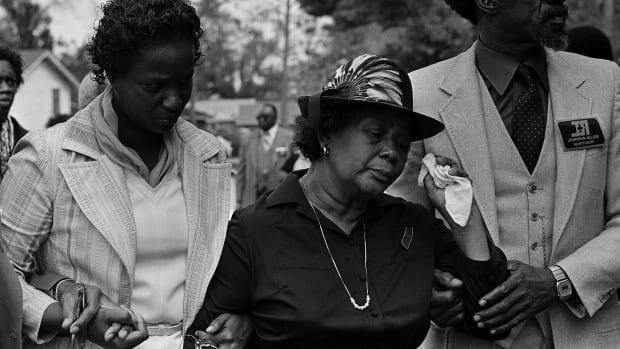 Slavery was also becoming a contentious issue during Monroe’s presidency. The North had banned slavery, but the Southern states still supported it. In 1818, Missouri wanted to join the Union; the North wanted it to be declared a free state while the South wanted it to be a slave state. Finally, an agreement was made allowing Missouri to join the Union as a slave state and Maine to join as a free state. 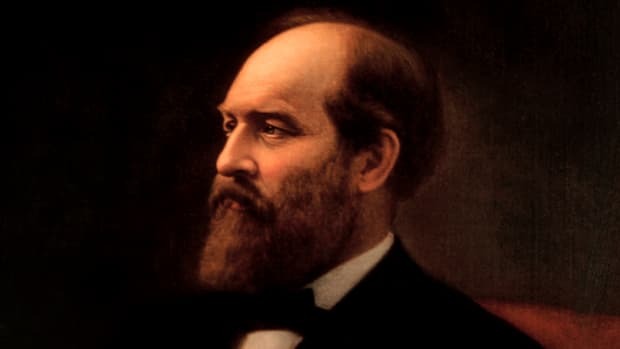 The Missouri Compromise soon followed, outlawing slavery in the Louisiana Territory above the parallel 36°30′ north, excluding the state of Missouri. Although Monroe did not think Congress had the constitutional authority to impose such conditions on Missouri’s admission to the Union, he signed the Missouri Compromise in 1820 in an effort to avoid civil war. In 1820, though the U.S. economy was suffering, Monroe ran unopposed and was elected to a second term as president. During this term, he wanted to exert the growing power of the U.S. in the world arena and make a statement of support for free governments in the Americas. Monroe was helped greatly with foreign policy by his secretary of state, John Quincy Adams (1767-1848). With Adams’ assistance, Monroe addressed Congress in 1823 with what became known as his Monroe Doctrine, which in part developed out of his concern that European powers would want to re-establish Spanish control of South America. In this address, Monroe declared an end to European colonization in the Western Hemisphere and forbid European countries from intervening in the American continents, including any U.S. territories and Central and South America. The Monroe Doctrine formally established a special relationship between the United States and Central and South America, and the U.S. would use this opportunity to invest in Latin America and assist with military intervention when necessary. In turn, Monroe promised that the U.S. would not interfere with European territories or any wars among them. 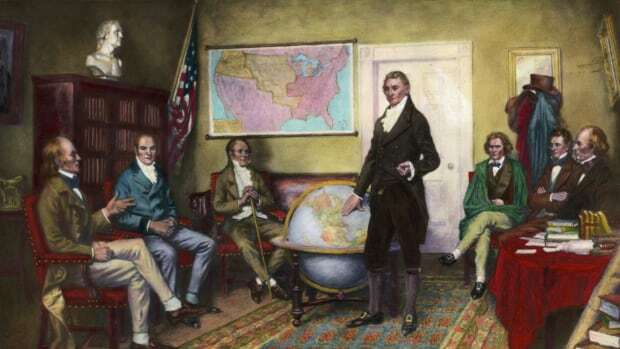 The Monroe Doctrine was well received and became an important tool in later disputes over American territory. In addition, Monroe continued to lead the U.S. in expanding westward across the continent. He helped build transportation infrastructure and laid the foundation for America to become a world power. Five states entered the Union during Monroe’s time in office: Mississippi (1817), Illinois (1818), Alabama (1819), Maine (1820) and Missouri (1821). In 1825, Monroe left office and retired to Virginia, where he helped preside over a new state constitution in 1829. After his wife died in 1830, Monroe moved in with his daughter in New York City, where he died on July 4, 1831, at age 73. His passing came exactly five years after the deaths of fellow presidents Thomas Jefferson and John Adams (1735-1826). In 1858, Monroe’s body was re-interred at the Hollywood Cemetery in his home state of Virginia.